Mr. Kern is the Chief Executive Officer of LaSalle in the Americas, with responsibility for overseeing the firm’s business activities and staff in the region. Mr. Kern also serves on LaSalle’s Global Management Committee and LaSalle’s Americas Private Equity Investment and Allocation Committees, as well as on the Board of Directors  of JLL Income Property Trust. In addition, Mr. Kern serves on the Boards of Directors of the National Association of Real Estate Investment Managers and the Association of Foreign Investors in Real Estate and is active with other industry groups such as PREA and ULI. Prior to joining LaSalle, Mr. Kern worked at the Hong Kong and Shanghai Banking Corporation (HSBC), where he founded and was the Head of HSBC’s Asia-Pacific Real Estate & Lodging Advisory Group. In this role, Jason has worked with many of Asia’s leading investors and advised on some of the most high profile IPOs, equity and bond issues, private equity raises and asset acquisitions and sales in the Asian property sector, with total transaction volume exceeding $50 billion. 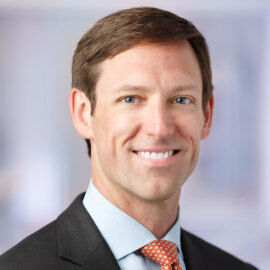 Prior to joining HSBC, Kern spent seventeen years at J.P. Morgan, principally in senior roles within the real estate investment banking team, and was based in J.P. Morgan offices in the U.S., UK, Continental Europe and Hong Kong. Mr. Kern earned an MBA in Finance and Accounting from New York University’s Stern School of Business and a BA in Economics and English Literature  from Colgate University.